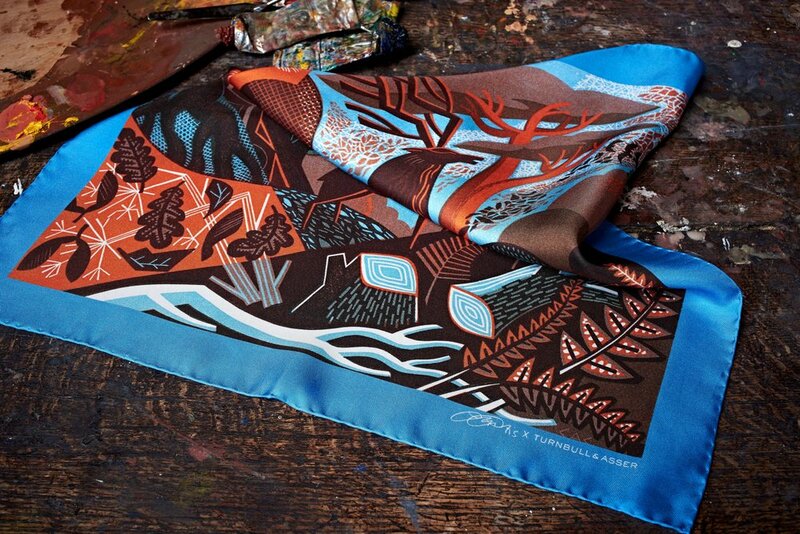 After at the launch of evening shirts for winter, Turnbull & Asser continue to impress with limited edition pocket squares, by 6 up and coming artists that use the humble 45cm x 45cm silk square as their canvas. 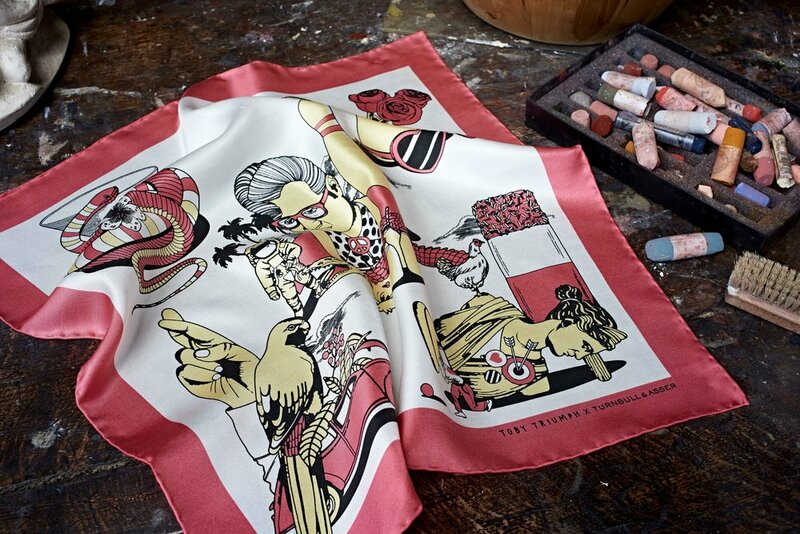 Celebrating various print styles and techniques, the artists were asked to design a pocket square especially for the British heritage brand that summed up their individual style and character. 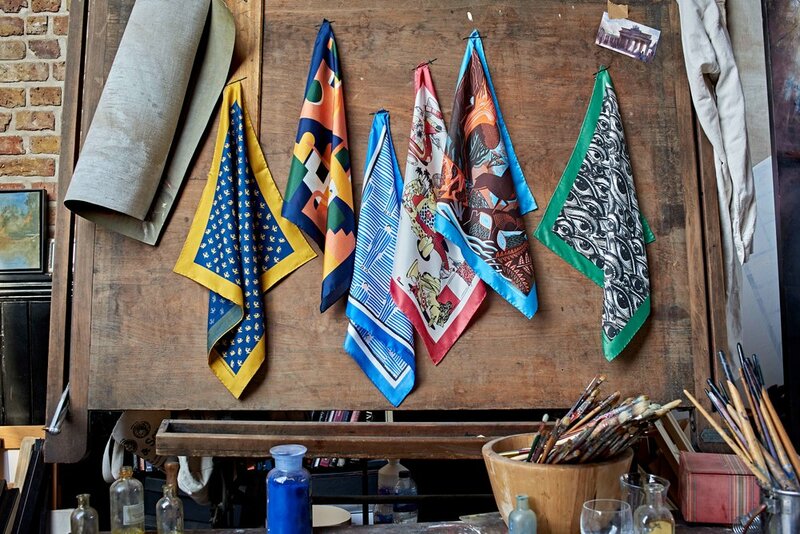 Pattern and colour and key to the brand’s aesthetic. Turnbull has always been known for classic and refined shirt making, which allows for freedom in accessories like pocket squares to really show off individuality through styling. The Artist Collection epitomises this approach to design: individual, characterful and bold designs, intended to appeal to a range of personalities. The list of artists contributing are London illustrator Charlotte Trounce and Germany- based Daniel Clarke, Toby Triumph in New York, Quentin Monge from Paris, animator Matthew Schofield and illustrator and printmaker Clare Curtis. 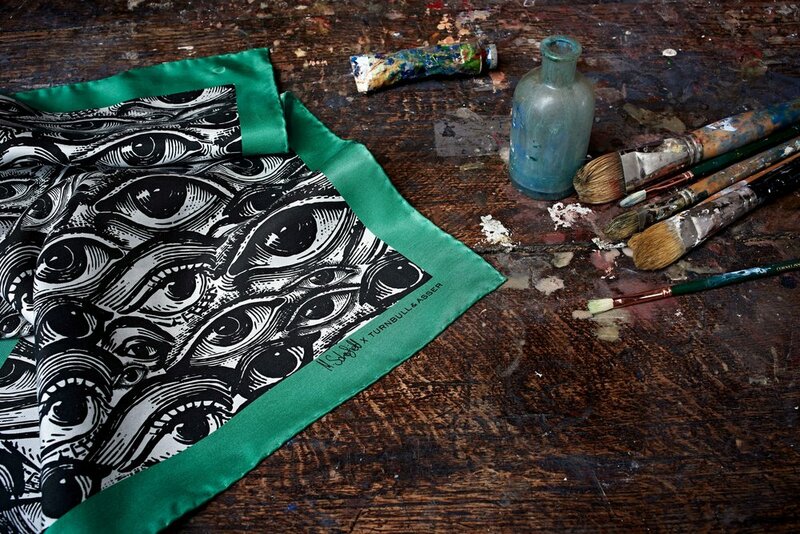 The collection will consist of six pocket squares—in a limited run of 28 per design, so get yours fast. From £75 and available at Turnbull & Asser.